Everywhere people are tinkering with the offices of the future, trying to adapt them to a working culture which is undergoing radical change. The fact that traditional structures are being broken down is reflected in open, modern spaces. Open-plan offices and creative co-working spaces are intended to create an ambience that promotes communication and acts as a breeding ground for creativity and inspiration. Unfortunately, reality all too often shows that the resulting high noise levels make concentrated work difficult and even cause stress. The most diverse approaches to solving this dilemma have been devised, including privacy panels or acoustic dividing walls and curtains. But what if people wish to stay within sight of one another and retain the openness of the room? And what if beautiful industrial architecture must not be destroyed by acoustic ceilings? 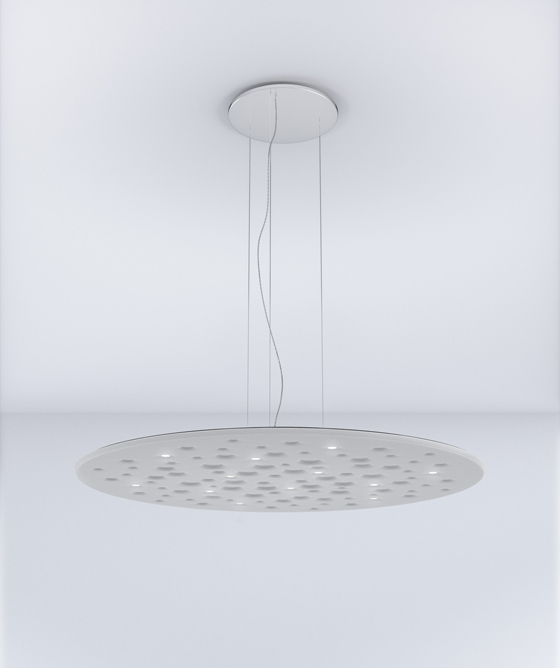 With The Acoustic Light, its newly developed lighting series, the Italian manufacturer Artemide offers solutions that are convincing not only in terms of lighting design but also of aesthetics and acoustics. 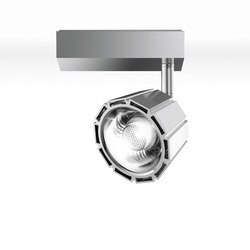 The company has repeatedly been able to give new impetus to modern lighting technology with its optoelectronic research. 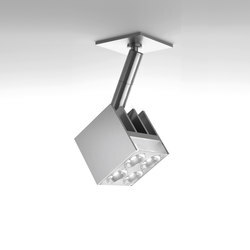 Artemide specialises in digitally controlled lighting systems that can be adapted to individual needs. 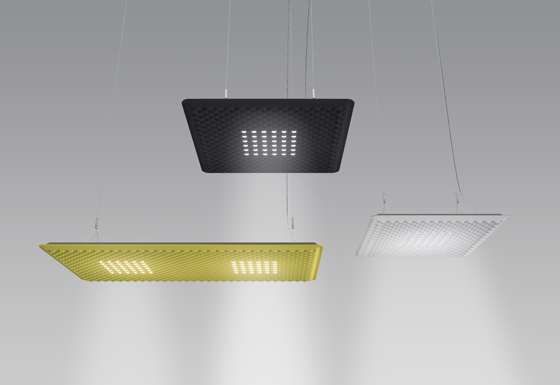 Its multi-functional acoustic lighting now combines excellent design and maximum illumination comfort with sound absorption - thus combining three main planning requirements for open co-working, conference and office spaces. 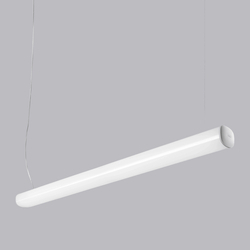 The Acoustic Light series includes three luminaires that all carry the Artemide seal of quality for refined design and excellent illumination. 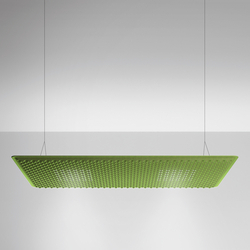 The Eggboard Matrix pendant lamp with its corrugated surface of recycled polyester creates a pleasant atmosphere in any room, both in terms of lighting and acoustics. 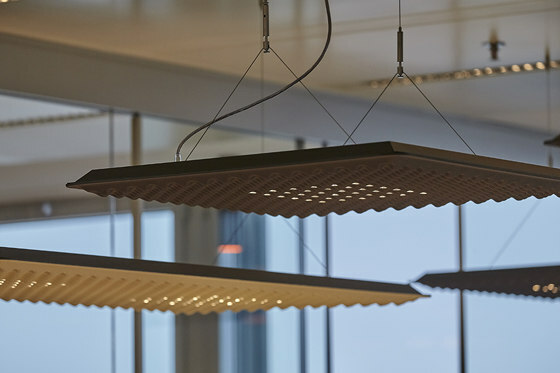 The appealing design by Giovanni Giacobone and Massimo Roj consists of sound-absorbing elements which are specially designed for the frequencies of the human voice. 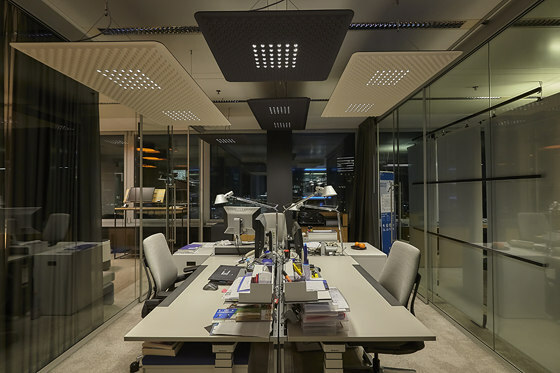 The lamp floats elegantly above the workplace, making the conventional acoustic ceiling superfluous. 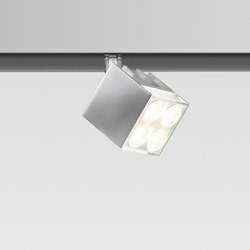 Equipped with highly efficient LEDs, the individual lamps can be simply rotated to illuminate a single or double desk. 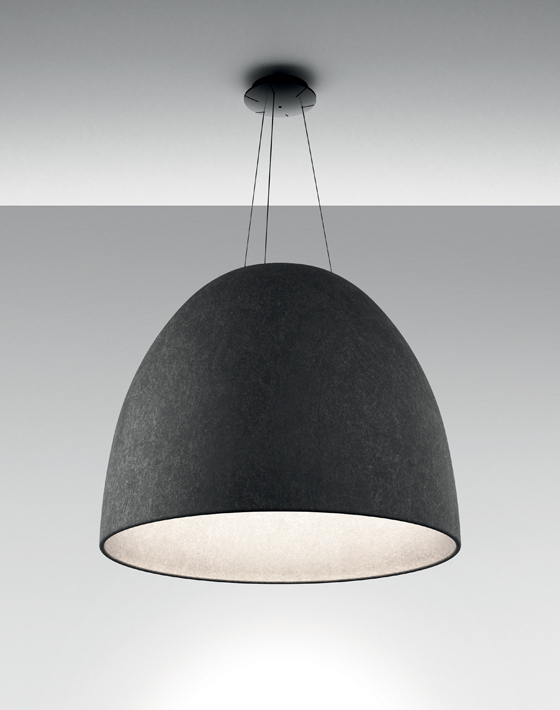 The Eggboard family of lamps was recently extended by the vertical pendant lamp Eggboard Baffle and the Eggboard Wall/ Ceiling with oblique light for wall and ceiling installation. 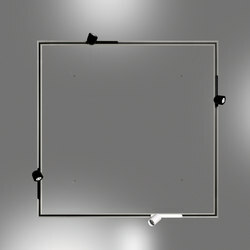 All the products are available in white, green or grey (other colours on request) and also as pure acoustic panels without light. The circular Silent Field 2.0 creates luminous islands of calm. The designers Carlotta de Bevilacqua and Laura Pessoni aimed to create a lamp that would not dominate the ambience but instead spread discreetly throughout the room. 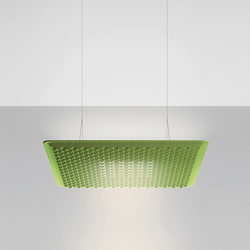 On the surface of the lamp there are circular recesses, whose different material densities maximise sound absorption and effectively reduce background noise. 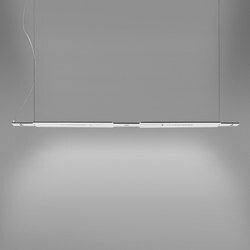 Silent Field provides homogeneous direct light and also creates pleasant ambient lighting in the room thanks to the optional indirect light it can radiate. 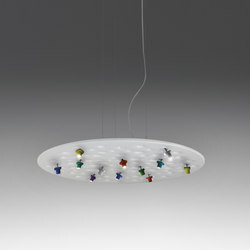 Nur Acoustic is a further development of Nur, the successful design classic by Artemide founder Ernesto Gismondi. 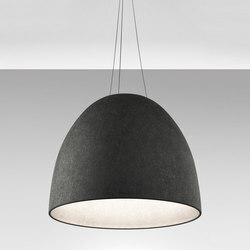 Its iconic, bell-shaped body is made of a sound-sensitive surface material that absorbs sound waves. The spacious geometry of the lamp concentrates the sound inside and reduces the reverberation time in open room situations. 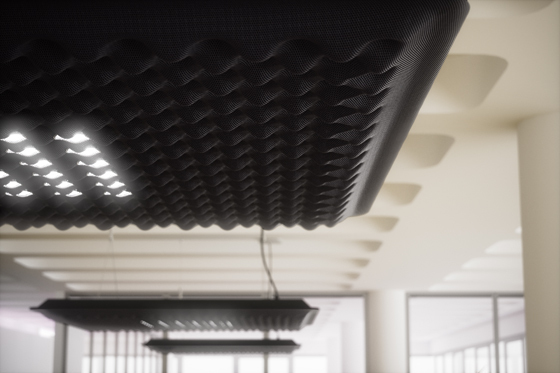 Sound-absorbing lamps or luminous sound absorbers combine optimum light with acoustic well-being, and thus meet the most important requirements for the workplaces of today and tomorrow. They create a feeling of space in which the ideas of the future can be developed in peace and, above all, quiet.